Anthony Jeselnik brings his offbeat, black humour to town.The multi-talented comedian, producer, writer, TV host and actor has taken the alternative comedy community by storm, rising from strength to strength. Named one of Daily Variety's 'Comedy's Ten to Watch', Jeselnik wrote for the first season of Late Night With Jimmy Fallon and Comedy Central Roasts, becoming a performer in the latter and roasting the likes of Donald Trump and Roseanne Barr. His boyish good looks belie his devilish charm and villainous stage persona, hallmarks of his brand of dark comedy which emphasizes misdirection and sociopathic non-sequiturs. Making his name on the Comedy Central Roasts, he became a worthy successor to roast king Greg Giraldo who passed away in 2010. A whipsmart misanthrope, he was the first stand-up comic to perform on Jimmy Kimmel LIVE, and continues to tour the late-night TV circuit in addition to his live shows. 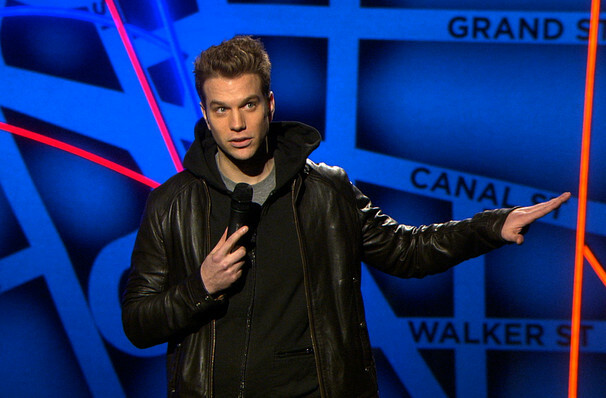 Seen Anthony Jeselnik? Loved it? Hated it? Sound good to you? 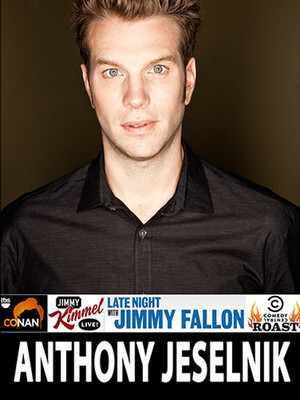 Share this page on social media and let your friends know about Anthony Jeselnik at Pantages Theater. Please note: The term Pantages Theater and/or Anthony Jeselnik as well as all associated graphics, logos, and/or other trademarks, tradenames or copyrights are the property of the Pantages Theater and/or Anthony Jeselnik and are used herein for factual descriptive purposes only. We are in no way associated with or authorized by the Pantages Theater and/or Anthony Jeselnik and neither that entity nor any of its affiliates have licensed or endorsed us to sell tickets, goods and or services in conjunction with their events.